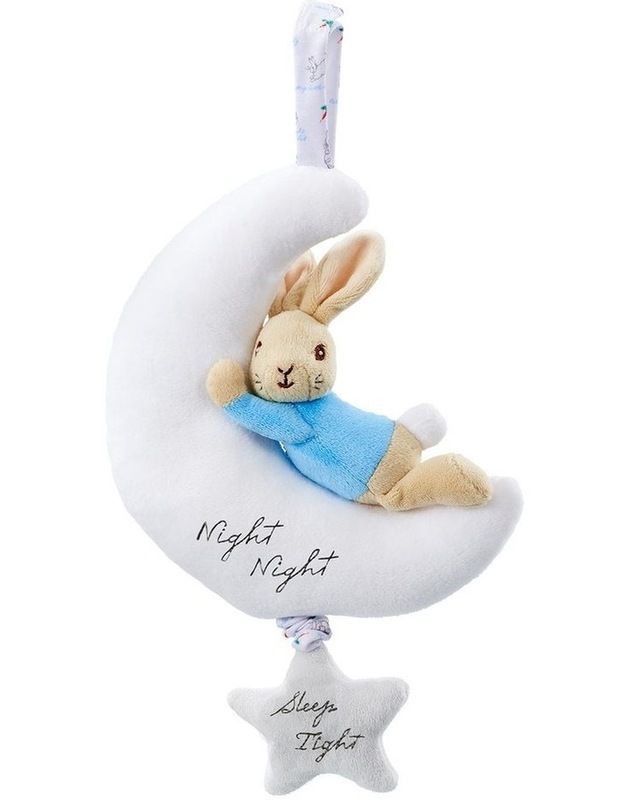 Soft plush Peter Rabbit sleeping on a moon. Pull star to hear soothing lullaby sounds. Includes cord for easy attachment to cot. Night Night Peter Rabbit!